For Soft Molded Plastic Wastebaskets. 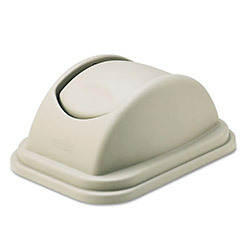 Beige Trash Can Lids from Rubbermaid! 189 In Stock today.